Magical Urban Fantasy Reads: Cover Reveal! Publisher's Summary: The personification of Aryan purity, Ellyssa's spent her whole life under her creator's strict training and guidance; her purpose is to eradicate inferior beings. She was genetically engineered to be the perfect soldier: strong, intelligent, unemotional, and telepathic. That is pretty cool cover! What a cool cover! I love the butterfly in her eye, it looks so neat. It sounds like a really interesting book too. I'm more impressed by the premise than I am the cover. But, the cover is really pretty, too. This is a future, future read! Still, I think this books sounds fascinating. I like the sound of this one! Pretty cover too. 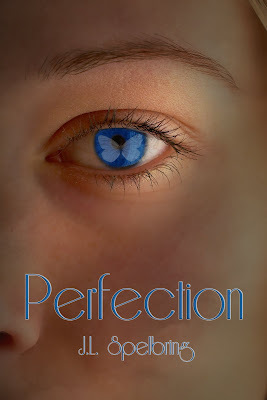 Thank you so much for blogging the cover reveal for PERFECTION. This sounds awesome! Just added it to my tbr pile.